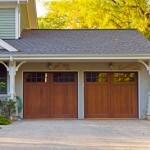 Boathouse Garage Doors, Muskoka, ON | AAA Door Guys Inc.
We perform a 10-point inspection designed to check all the moving parts of your boathouse garage doors in Muskoka. Having a boathouse is something that makes your summer more enjoyable. Having the proper storage of your boathouse during the off-season is important, but it is also important to be able to secure your boathouse when it isn’t in use. If you have a storage building with boathouse garage doors, it is important to have a company that can make sure the doors are working properly year round for safety and security. At AAA Door Guys Inc., we understand how important your boathouse is for your lifestyle, and we’ll make sure your boathouse garage doors are in top shape. When you need assistance in checking your boathouse garage doors in Muskoka, Ontario, turn to us at AAA Door Guys Inc. Our comprehensive inspection will ensure your doors are in their best shape, and all of our work is guaranteed, so you know you are getting the quality work you deserve. Contact us today to learn more or to schedule an appointment. 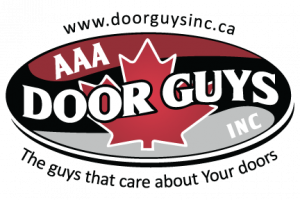 At AAA Door Guys Inc. we offer quality and affordable boathouse garage doors in Muskoka and the surrounding areas including Barrie, Orillia, Innisfil, Angus and throughout Simcoe County!